This 2 bedroom plus den, 1 bathroom, 1200 square foot comfortable and cozy farmhouse, is the homey retreat that awaits you after a sun-filled day at the beach or golf course. The local beach is a 10-minute bike ride away (bikes provided, assorted sizes with helmets!) and about a 20-minute drive to great golfing destinations. Located 5 minutes away from the beautiful Greenwich National Park and from the scenic village of St. Peter’s Bay, the cottage’s location is ideally located in Eastern Kings. It is home to the best beaches, world-class golfing and miles of clean, white sand surrounded by the majestic parabolic dunes at the National Park. The cottage has been recently renovated (2016), with a fully equipped custom-made kitchen, laundry facilities and an open concept layout. It has a large master bedroom with a brand new pocket coil queen size bed and 1 additional smaller bedroom with a brand new pillow top double bed. The den features a comfortable, quality pull-out couch with a double bed. The cottage sleeps 6. The 4-piece bathroom, located on the first floor, mirrors the colours of the ocean and the sand, as does the décor throughout. The Living room is open and comfortable. The dining area contains a large harvest table which seats 8 people. Electronics include HD PVR Satellite TV, DVD player with an assortment of movies and a Bose surround sound system with radio, CD player, iPod hook ups including Bluetooth. Internet access is also available. With ample seating, TV, coffee table and end tables, and ample lighting the living room is a great place to relax and gather the family to watch TV, read a book or play board games all of which are provided. A gas barbecue is also on site. Non-smoking. We welcome pets. An additional fee of $100. applies for pets. This property is not suitable for parties or large gatherings. We are located on Route 336 in Cable Head West, just north of St. Peter’s Bay. 40” LED, flat screen TV, Satellite TV, DVD player, Bose surround sound system with radio, CD player and iPod hook ups including Bluetooth, well equipped kitchen with full sized fridge, stove, microwave with pizza oven, wine cooler, Marguerita Blender/Maker, dishwasher, small appliances and all the usual cutlery/dishes and cookware; full size washer and dryer and an outdoor clothes line; air-conditioner, ceiling fans in living and kitchen area and stand alone fans and individual portable heaters; beach towels, beach chairs and umbrellas; basic pantry supplies; laundry detergent, dish detergent and cleaning supplies. Start up supply of toilet paper, paper towels. We have all that you need to relax and enjoy all that the gentle island has to offer. We are a couple who reside in Kitchener who grew up and went to school in Toronto, Ontario. Our 2 children are now grown and independent. We look forward to sharing our home with you. Our family of 4, born and raised in Ontario, took a family vacation to Prince Edward Island in 2003 and that is when we fell in love with the island way of life. We have visited every summer since, until finally purchasing our summer cottage in 2012. The warm summer sands, the incredible views, access to live theatre and world class golfing are some of the main attractions which drew us there year after year. While our 2 children are grown up now, they still manage to visit their childhood summer destination every year. Be careful, you too might lose your heart to PEI, just like we did. We fell in love with our home primarily because of its excellent location close to beaches, Greenwich National Park, St. Peter's Bay and the main towns of Souris and Montague with their many amenities. We have made our home a warm inviting place for family, friends and our guests who return to us year after year. We will provide a few items to get you started. A pass to the National Parks, including Greenwich and Anne of Green Gables etc. is provided for guests. 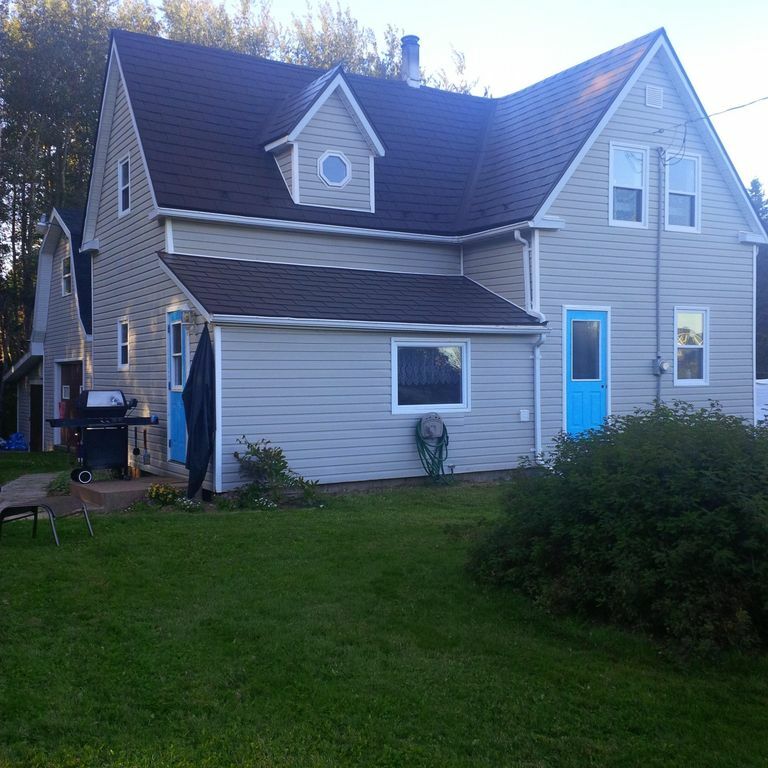 Greenwich Gables, in Cable Head West, is located in the most beautiful beach area of PEI. With the Links at Crowbush Cove nearby, and the proximity of Greenwich National Park and the bayside community of St. Peters (5 minute drive), it is an ideal location for your PEI vacation. Cable Head West is located in the Island’s easternmost region, (eastern Kings-St. Peter’s Bay Community) and attracts visitors who appreciate natural spaces, outdoor activities and a rural lifestyle that emphasizes friendliness and hospitality. Its location is part of the Points East Coastal Drive Touring Region which boasts: 13 golf courses; 34 beaches; 6 lighthouses; 34 history and cultural attractions; 24 harbours; more than 100 restaurants; 12 provincial parks; 6 Scenic Heritage Roads; and a national park. A stay in our lovely Greenwich Gables cottage, which has been recently updated with a new custom kitchen, new flooring and comfortable beds, is perfect for anyone seeking a laid-back, relaxing PEI vacation. 5 minutes away, is the unforgettable dune system at Greenwich National Park which is an area of startling natural beauty, dominated by many miles of majestic sand dunes, dramatic sandstone cliffs, numerous red and white sand beaches; a haven for beachgoers. Other popular supervised beaches in the eastern PEI region include Red Point, Basin Head and Panmure Island, to name a few. Its close proximity to St. Peters Bay is ideal as one of the most scenic stretches of the Confederation Trail runs right through the village of St. Peter’s. The village offers a panoramic view of the Gulf of St. Lawrence, and is also a good stopping point for shopping, dining, theatre and music. The Links at Crowbush is 26.5 km away. It is a world-class golf experience boasting 9 water holes and 8 holes near the famous dunes on the Gulf of St. Lawrence. Crowbush was awarded a 5-star rating from Golf Digest and is listed among the "Sweet Sixteen" top courses worldwide. A vacation at Greenwich Gables in Cable Head offers visitors more than a vacation to Prince Edward Island - it offers a chance to get away from it all while feeling a bit like you've finally come home.